As I preached for the last time in St Ives I said to the faithful there that imitating Jesus is the best thing each of us can do in life. This I say to you today as well as I preach from this pulpit for the first time – imitating Jesus is the best thing we can ever accomplish in our life; doing what he does, living as he lives, and ultimately loving as he loves is the only true and lasting source of happiness. I am perfectly aware that what I am saying may sound a little naïve given that our wider society often mistakes happiness for having more money than sense, or pursuing positions of power at every cost; but no, it doesn’t matter what we are told outside these walls, the truth we encounter here is that the only sure way to happiness is to be formed (moulded, even) a little bit more each day into the person of Jesus Christ. But, do not worry, I am not about to distribute copies of the great book The Imitation of Christ and to ask you to read it by next week; neither am I going to give you those rubber bracelets that were popular a few years back among many of our evangelical siblings and bore acronym WWJD, “What would Jesus do?” No. Instead I will put to you that imitating Jesus, living his life in our lives, can only truly come from knowing him, from learning from him, and ultimately from spending time with him – probably a lot of time as well. Much in the same way you would begin to unknowingly imitate certain behaviours of a loved one because you spend too much time with them, so it is with imitating Jesus; to truly live his life we must spend a lot of time with him. So as I speak to you for the first time, the first practical instruction that I give to you is, spend a lot of time with Jesus so that you may naturally come to do what he does, and to love as he loves. To this I would add, feed on him and adore his presence in the Eucharist, because as Jesus tells us in John’s gospel, those who eat his flesh and drink his blood live in him and he in them (Cf. John 6:56). 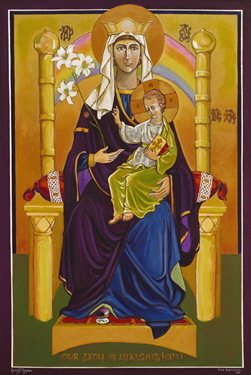 Yes, we have Christ with us in the words of the Scriptures, in the marginalised and in those who suffer, and in the life of the Church community; yet, there is a place where we know Jesus is truly present and present to bless everyone who approaches him – and this place is the Eucharist. 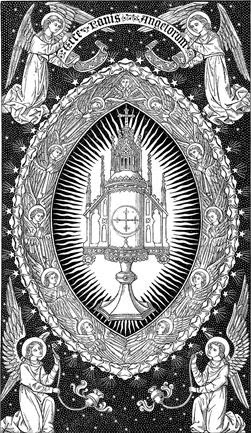 So, let us do your best to take part, to receive Holy Communion as often as possible, and let us not be shy when entering a church, but let us stop before the Blessed Sacrament reserved at the altar, to say “Hello!” to Our Lord there. 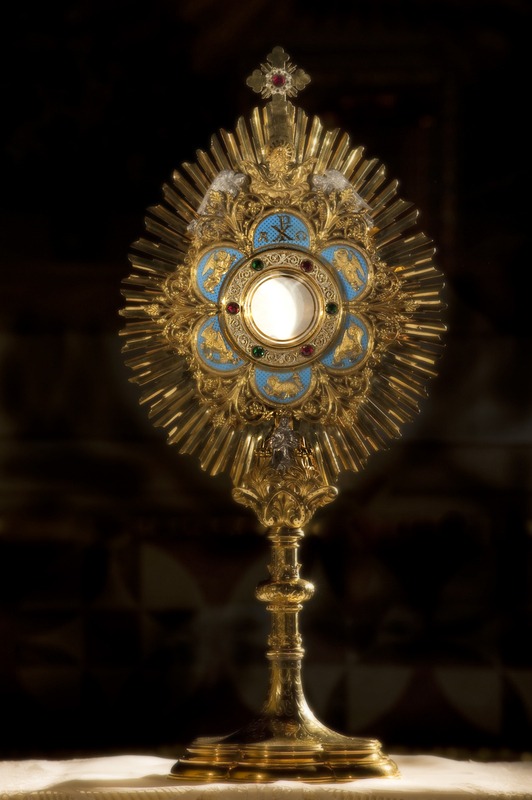 In the Eucharist Jesus is always waiting for us and loving us already, even when we overlook or ignore his presence. 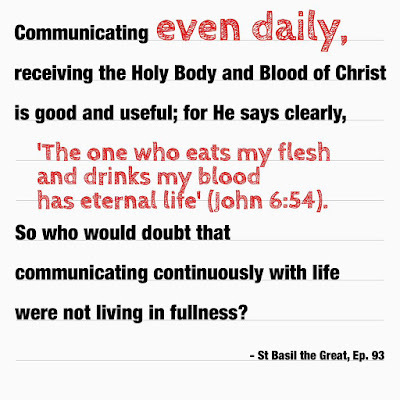 Over the last years I have been studying a few of the Church Fathers, the great Christian theologians of the early centuries; one of them, St Basil, says this about receiving Holy Communion, ‘Communicating even daily, receiving the Holy Body and Blood of Christ is good and useful; for [Jesus] says clearly [in John’s gospel] “The one who eats my flesh and drinks my blood has eternal life”. 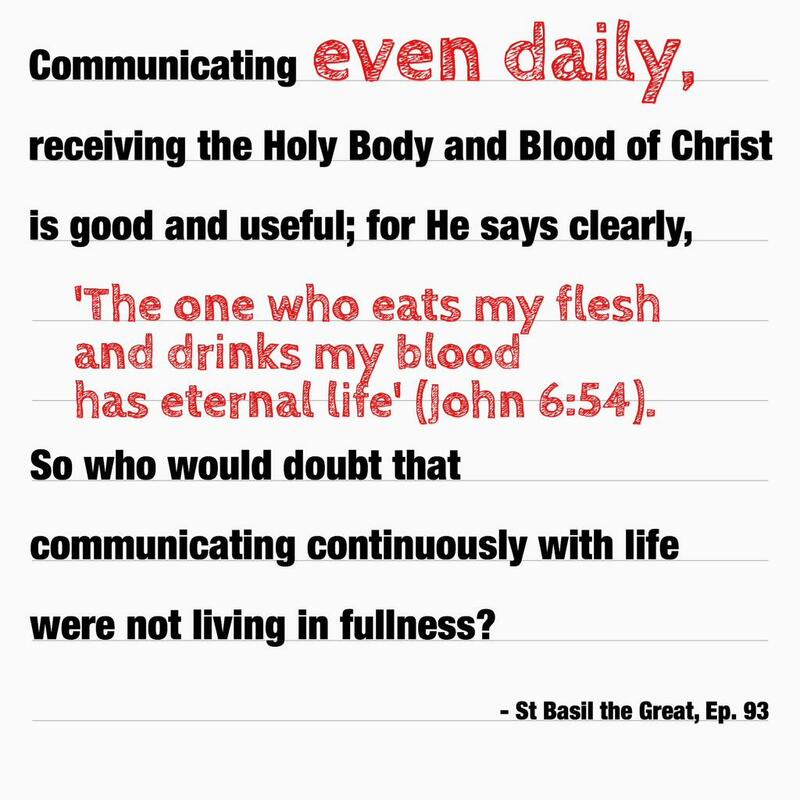 So who would doubt that communicating continuously with life were not living in fullness?’ (EP 93). Let us then make sure to visit and to receive Jesus in the Eucharist as often as we can, so that little by little we may be transformed into him, and so achieved true happiness and fullness of life. so that we may be true imitators of you. Amen.